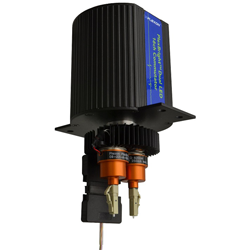 Ideal for experiments in which optogenetic stimulating is performed simultaneously with neural recording using analog headstages. It, too, has a light-weight, low-torque, passive design that supports optogenetic experiments requiring one or two LEDs with animals as small as mice. This innovative device uniquely incorporates 21 lines supporting up to 16 channels of neural data transmission.